Standing ovations at TED Talks are not that common. The last one I recall was a magician with a sword who, literally, showed his audience how to swallow fear. Imagine then the collective surprise when Dahlia Mogahed, social science research wonk, mother of two, and a practicing Muslim walks on stage, poised, cheerfully dimpled, in a striking blue Muslim dress and head scarf, and smiling into the footlights asks a full house, "What do you see when you look at me? A woman of faith? An expert? Maybe even a sister. Or oppressed, brainwashed, a terrorist." Then try to imagine your amazement 15 minutes later when, against all odds, the whole crowd is on its feet and clapping. 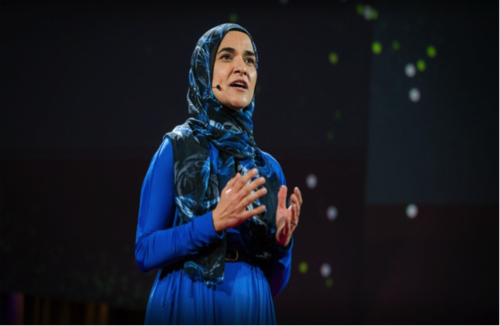 Without fanfare, the personable Mogahed takes her audience on a solidly reasoned, thoughtful journey past the three not-so-subconscious stages of distrust, anger and fear that many Americans currently go through every time they see a woman in a headscarf. She explains how this happens, what it costs, and what it means--to the perceiver and the perceived, to our personal space and our public world, to democracy itself when fear takes over and labels win the day. She explains the stakes and she offers a choice and a challenge. No wonder the whole room jumped up to applaud. Because just now, when so much extra meaning is being placed on their appearance, Muslim women's fashion has come into its own. 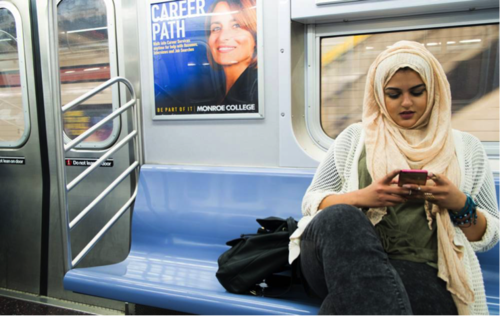 Exhibit A: Nabila Noor's library-size archive of YouTube videos, Instagram, Snapchat, Twitter and Facebook pages have made her a household name in Muslim social media. Noor's YouTube channel overflows with advice on make up, room decors, foodie tips, party snacks, and gift ideas that flow from her bedroom and living room across the world. Move over, Martha Stewart. Recently, in addition to beauty tips, she has been offering election advice to a larger public, appearing in Iowa at the GOP debate and raising non-cosmetic questions. Exhibit B: Amani Al-Khatahtbeh started a blog in high school called MuslimGirl.net, which today is a burgeoning social movement. 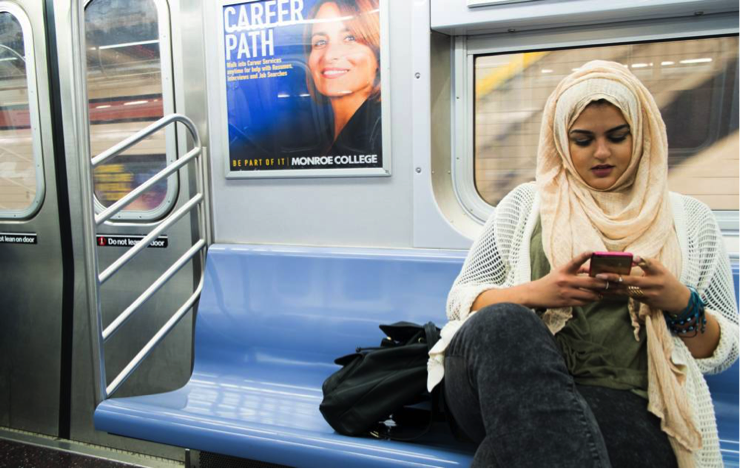 First an online blog page from her New Jersey family's home, then a Rutgers University student organization, then a registered website in Washington DC, MuslimGirl has moved with Amani, picking up a global network of editors and writers, taking on the theme of being young and female that spans the world. Book and music reviews, women's roles in politics and science and, more recently, articles on how wearing hijab has made women targets of violence in public. Amani has taken her news to CNN and represented her demographic at the UN Youth Assembly. 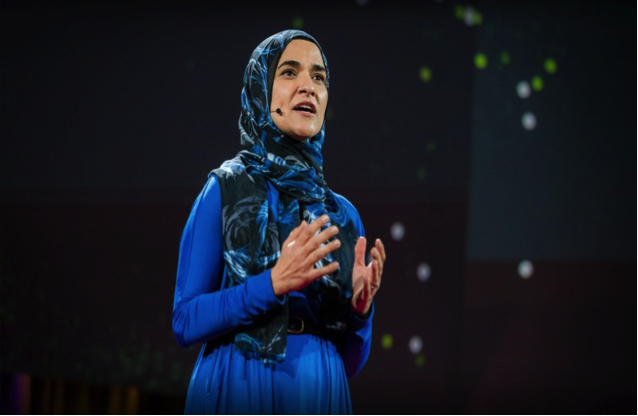 Her goal is to show that Muslim women do talk back and to give them a stage where they can hear each other. Creativity in Muslim women's fashion and style flows beyond the virtual, giving solid shape to new looks around the world. The "Islamic World" is a large and potentially lucrative territory: 50 Muslim majority countries, 22% of the world's population, and a "Diaspora" population outside them of over 300 million people. No surprise that Fortune magazine has already tagged Muslim women as the next major fashion market. The estimates of its worth are almost half-a-trillion dollars by 2020.
Who will design the clothes of Muslim women in the future? Donna Karan (DKNY) issued its first line almost two years ago. These days, it's referred to as the Modesty Fashion Movement, inspired by a different set of cultural norms than Western style, including the notion that a woman's visual appeal is not necessarily a function of how little she wears. Muslim women will also create their own lines, and the companies to make and market them, if designers like Melanie el Turk CEO of Haute Hijab fashion house in Paris (and author of this article in Elle,) Nermin Demyati, the first female fashion designer in Gaza, and British-Japanese Muslim fashion designer Hana Tajima have anything to say. Tajima recently teamed up with Japanese retail giant Uniqlo to bring out a stunning line of clothes for British and U.S. markets. 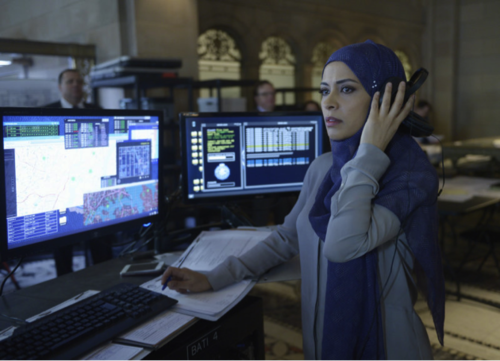 Might you be curious to see how the American TV industry imagines Muslim FBI agents should dress? 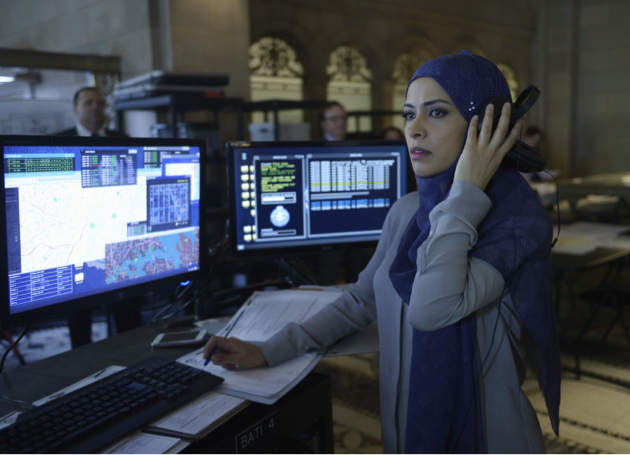 Consider this screen-grab of Lebanese-born actress Yasmine Al Massri, who portrays twin FBI agents Nimah and Raina Amin on ABC's hit TV series, "Quantico."